Kasra Saber has joined Helsell Fetterman’s land use and real estate practice groups. Kasra delivers a broad range of legal services to clients in all phases of land use and real estate transactions with an emphasis on residential, commercial, mixed-use, zoning and infill development issues. Kasra will also advise housing cooperatives, condominiums and homeowners associations on land use and municipal law issues. Kasra graduated from the University of Washington with a B.A. with a major in Political Science and a minor in Law, Society and Justice. He earned his J.D. from Seattle University School of Law in 2015. At Seattle University School of Law, Kasra received 1st Place for the In House Mediation Competition and was President of the Sport and Entertainment Law Association. 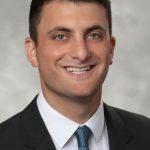 While in law school, Kasra also externed at the Land Use Department at the Seattle City Attorney’s Office – Civil Division, and was a legal intern at Amazon. Kasra was born and raised in Iran and speaks Farsi fluently.